These are in no specific order and not all are YA. 1.Perfect Chemistry by Simone Elkeles - I have yet to read the rest of the series but I loved the first one!! 2.The Book Thief by Markus Zusak - I cried so many times!! It is a wonderful book. 3.Outlander by Diana Gabaldon - So many different things happen in this book it's hard to not experience strong emotions. 4.Persuasion by Jane Austen - One of the best love stories I've ever read. 5.Shadowfever by Karen Marie Moning - This book was so intense!! I'm pretty sure I got very angry, and I cried! 6.The Last Song by Nicholas Sparks - Nicholas Sparks always knows how to make people cry and this book definitely had me crying! 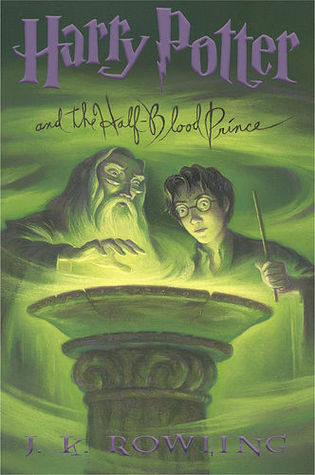 7.Harry Potter and the Half-Blood Prince by J.K. Rowling - Pretty sure I cried in this one too. 8.Shiver by Maggie Stiefvater - Love, love, love! 9.The Hunger Games by Suzanne Collins - Ah! Such an intense series! 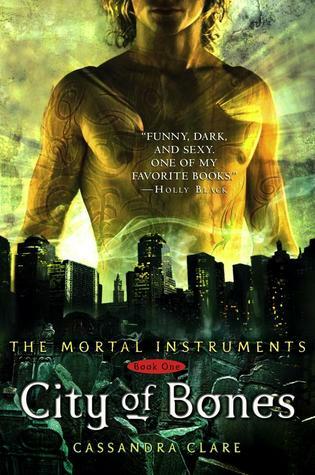 10.City of Bones by Cassandra Clare - Really this entire series is a huge emotional roller-coaster! I have become emotionally invested in this series! 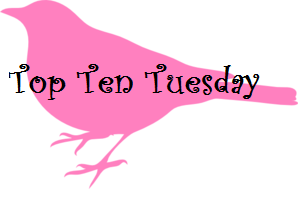 What is your Top Ten for this week?